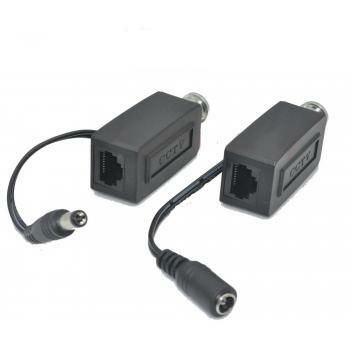 The video transceiver is a device that allows the transmission of real-time monochrome or color video over Unshielded Twisted Pair telephone wire. Enabling reactance equally to zero, it transform the video signal into an identical signal but with opposite polarized magnetic fields. With unparalleled common interferences rejection, the units can transmit image in high quality even in strong interference environment.Baseband (composite) signals of any type are supported. Transmit a full motion monochrome video signal up to 600M,color video signal up to 400M. With the passive transmitter whit transmitting 300M,and the active transmitter collocation can be transmitted farthest 1000M. © 2005-2019 缅甸老百胜ぇ18088366661 Copyright, All Rights Reserved.